Signature HealthCARE is proud to be named to the list of ‘Best Places to Work in Kentucky’ for the third consecutive year! The list is published annually by the Kentucky Chamber of Commerce and the Kentucky Society for Human Resource Management. It is based on an assessment of participating companies’ policies and procedures, along with the results of employee surveys. Those survey results are a continued reflection of engagement levels among employees, or stakeholders, at Signature. 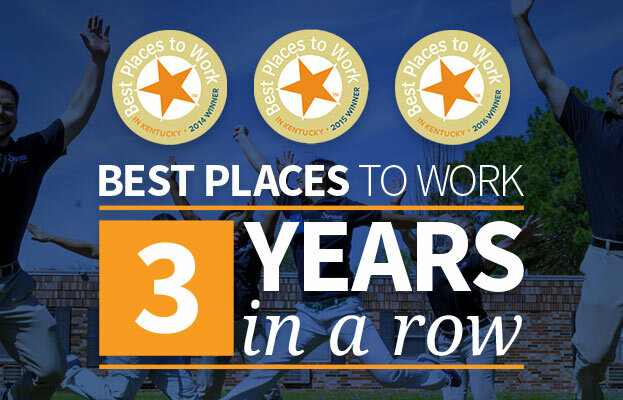 To view the list and learn more about the competition, visit www.bestplacestoworkky.com. This entry was posted in Uncategorized on February 1, 2016 by Signature HealthCARE.